Six Sigma is a data-driven approach to eliminate defects in any business process. From application development to manufacturing, the right implementation of Six Sigma can help you to improve processes by finding and removing the causes of errors. It may seem odd consulting a “For Dummies” book for something as in-depth and critical as Six Sigma, but this book has comes packed with useful information. Lean Six Sigma combines two of the defining methodologies of the workplace – Six Sigma and Lean –to make work better and faster. Lean Six Sigma for Dummies outlines the key concepts of Six Sigma and explains how you can use it to get the best out of your team and business. As with other “For Dummies” books, the emphasis here is on digestible, plain English without the jargon. This book is ideal for you if you’re new to Six Sigma or are gearing up to achieve the Yellow belt certification. However, if you’re revising for your Black Belt exam, this may be too basic. Amazon readers rate this book highly, with an average 5-star rating. Reviewers expressed that this book went beyond the usual “For Dummies” guides to include a wealth of Six Sigma information. 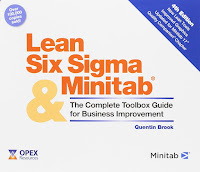 Get a practical approach to implementing Lean Six Sigma methodologies with the Lean Six Sigma Minitab. With over 150,000 copies sold, this Lean Six Sigma guide is firmly established as the go-to- practical guide for business improvement professionals across the globe. 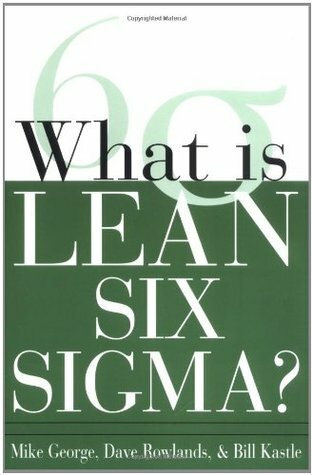 This book clearly explains the Lean Six Sigma methodology, making it ideal for additional reading at any level of Six Sigma certification or knowledge. With an impressive 5-star rating on Amazon, reviews are overwhelmingly positive. Despite its 2005 publication date, this tried-and-tested Lean Six Sigma quick reference guide is ranked by Amazon as the #1 Best Seller in Six Sigma management. 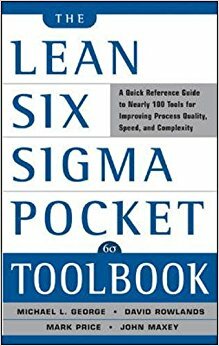 The Lean Six Sigma Pocket Toolbook is a complete, results-based reference to the tools and concepts you need to understand to apply and use Lean Six Sigma. This is an ideal reference guide for professionals studying for Green and Black Belts certification. 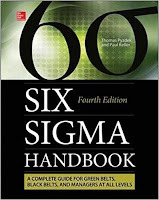 This book contains excellent advice on how best to use the Six Sigma tools in different situations. With step-by-step instructions, it can help you get a true understanding of how to carry out Lean Six Sigma processes. 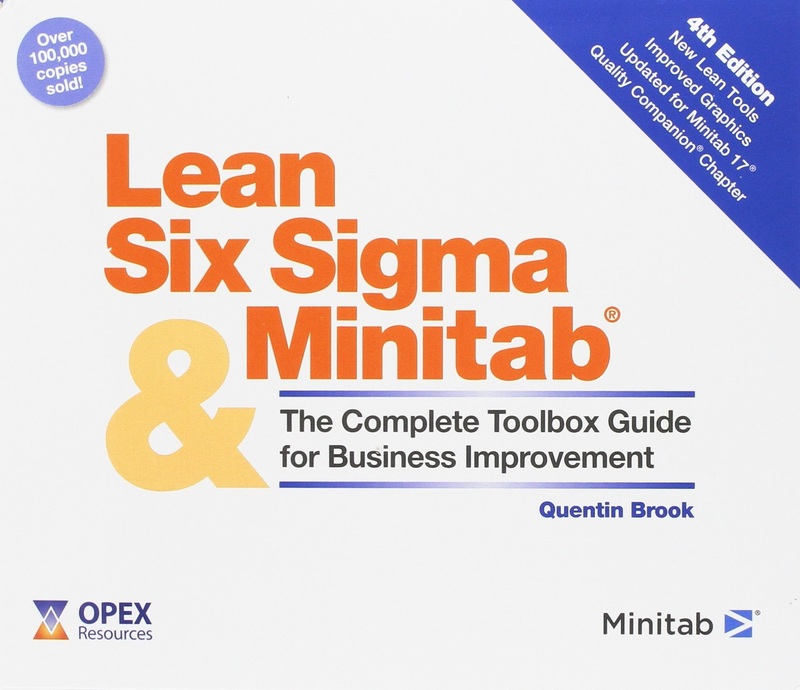 While the Lean Six Sigma Pocket Toolbook is not a training document, it is still a great revision document to prompt you on the tools available within Six Sigma. This makes it an excellent reference book for those interested in quality control and process improvement. 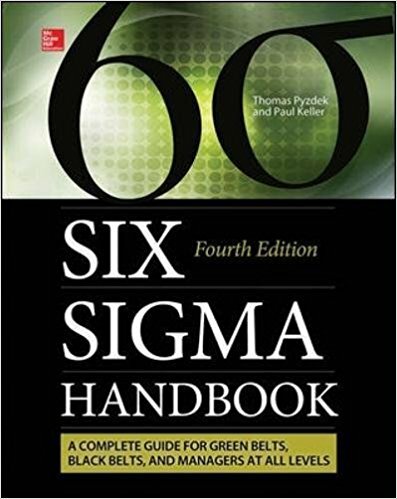 The Six Sigma handbook includes every aspect of Six Sigma and is particularly useful for professionals studying for the Green Belt certification. The most recent edition is revised to reflect the evolving area of Six Sigma that walks you through the methodology, covering improvement techniques. 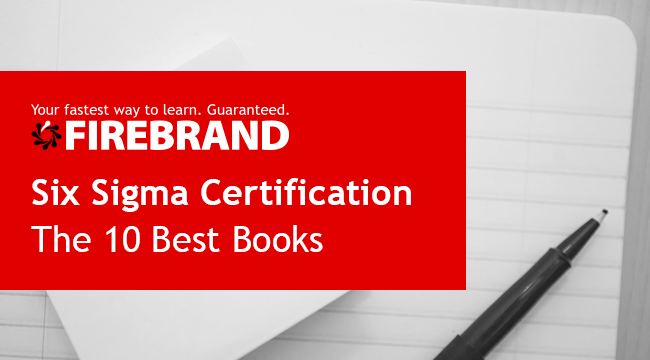 This lengthy book that provides you with everything, you need to know about Lean Six Sigma. However, this book is in-depth and may be less approachable for beginners. 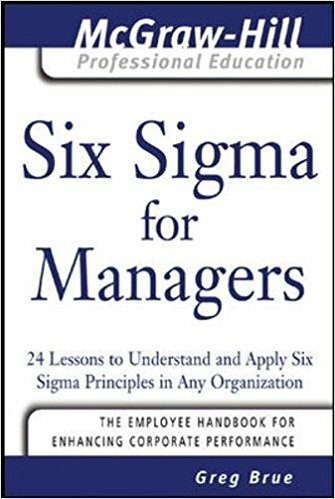 Written by Greg Brue, CEO of Six Sigma Consultants and a Master Six Sigma Black Belt, Six Sigma for Managers provides 24 lessons that explain the fundamentals of Six Sigma. It’s ideal for busy managers that need a quick primer and practical overview of Six Sigma. This book provides a helpful perspective from someone who has mastered the field – ideal for any manager who is looking to implement Six Sigma, taking a Six Sigma course or simply needs to refresh forgotten skills. This is a quick introduction to how you can use Lean Six Sigma to improve your workplace, meet your goals and better serve your customers. In this simple guide, you’ll learn how Lean Six Sigma can identify and eliminate waste and quality problems – a great introductory book. 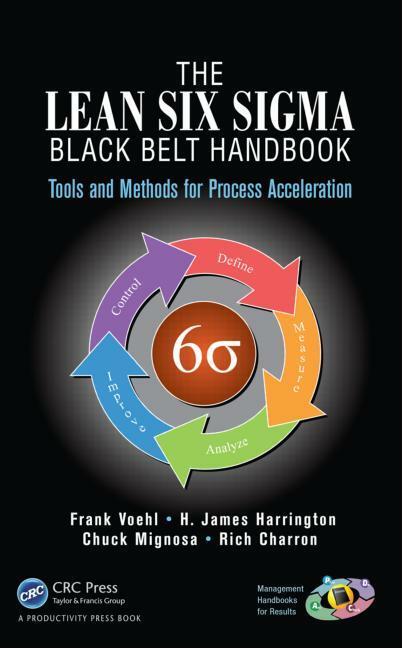 This book focuses on covering Lean Six Sigma fast. This will benefit those looking for a quick overview, while readers seeking depth may be disappointed. The Six Sigma Yellow Belt Handbook is a practical guide to becoming a Six Sigma Yellow Belt. 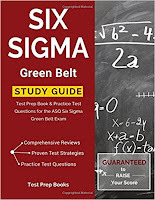 Written for professionals beginning to study or for newbie Six Sigma practitioners, this guide is the most popular Yellow belt book available now. 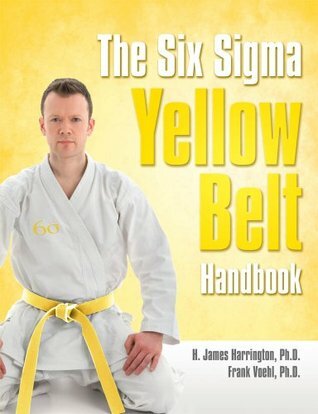 Few books are available for the Six Sigma Yellow Belt, making this handbook stand out. Reviews are overwhelmingly positive, with an overall Amazon rating of 5-stars. Anyone planning to take the Six Sigma Exam, especially one administered by the ASQ, should take advantage of the review material, practice test questions and test-taking strategies found in this guide. 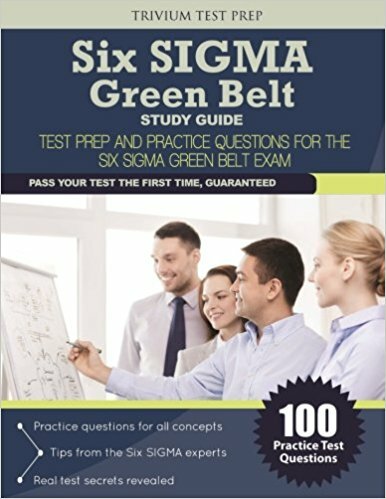 Developed for test takers aiming to achieve the Six Sigma Green Belt, this guide covers all of the content you're likely to face on your exam. This study guide is highly rated by Amazon US customers, with an overwhelmingly positive 4.5-star rating. 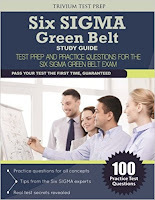 Six Sigma Green Belt Study Guide, published by Trivium Test Prep is one of the most popular study guides available for students aiming to take on the Green Belt exam. While reviews are generally positive, some readers are unsatisfied with the high price point, especially when compared to similar guides. 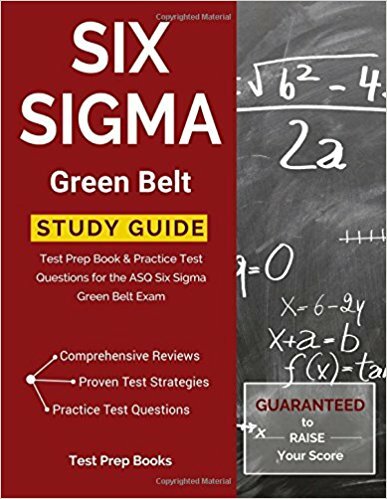 Another useful book that can vastly improve your understanding of Six Sigma by tackling the knowledge needed to achieve the advanced level of Six Sigma in the Black Belt. This is one of the best books covering the Black Belt certification. It simplifies the Black Belt methodologies, helping you to apply them to your exam and to real-world situations.